Shedworking: The most expensive dog kennel in the UK? 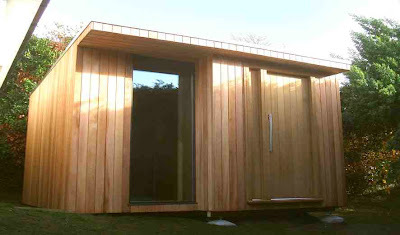 "Most customers would be very happy to have this as a garden studio/office - super insulated SIPs construction, £2,000 worth of western red cedar, a £5,000 hardwood steel lined door, internal full height glass sliding doors, double glazed full height panel with view across the garden to the owner's £3.5 million sea facing home. Installed by our team in 4 days (worked under floodlights after dark) the lucky dog's owner was keen that the structure wouldn't look out of place in the grounds of his amazing house. At over £20,000 this is one dog house there is no problem being sent to!" that shows the great difference. Lucky Dog Uptown Kennel is available in three different sizes. It comes with a heavy-duty waterproof cover with UV protection that attaches with sturdy elastic cords. The sturdy steel bars and wires are welded together before being coated to keep sharp pieces from hurting your dog. This also helps ensure that the Best Outdoor Dog Playpens is properly protected from rust and corrosion.